It’s no surprise that Danny Orleans frequently entertains at tradeshows and corporate events in Las Vegas. Three of the ten largest convention centers are located there, and there’s dozens of hotel meeting rooms. Danny has performed more than 100 times at the Las Vegas, Venetian and Mandalay Bay Convention Centers as well as sales meetings and conferences at many of the 140 hotels and resorts throughout the city. More tradeshows and corporate events are held in Las Vegas than any other city in the US. At these events, Danny Orleans is called upon to help his clients generate leads and deliver their marketing messages to prospects and customers. Here is a partial list of conventions and conferences where he has added a touch of magic to brand his clients’ names on the minds of prospects and customers. 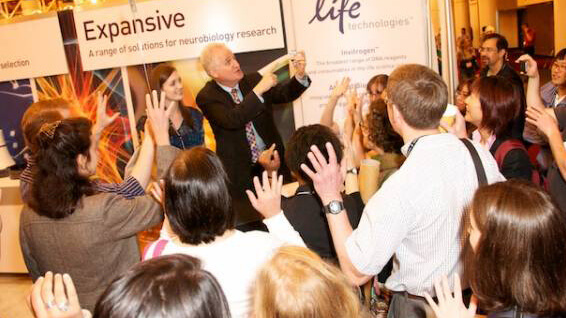 Life Technologies added a magic spokesperson to their booth in Vegas. 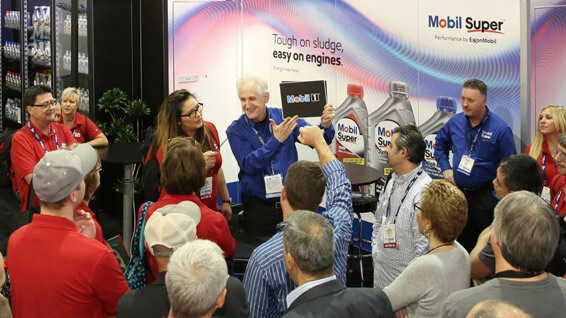 Combining magic with a marketing message is a great tradeshow booth strategy for Las Vegas. Shows featuring magicians are in many hotels and theaters there. And playing cards—associated with both magicians and casinos—are everywhere! 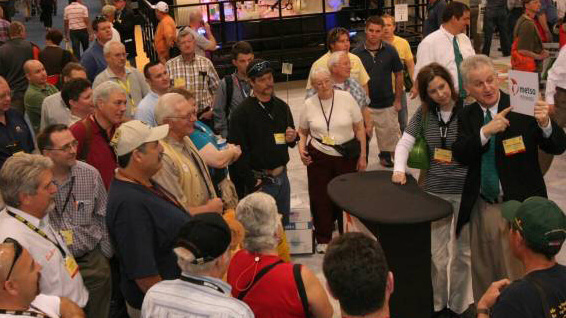 Danny Orleans has many ideas on how you can theme your booth with a Las Vegas tradeshow magician to generate more leads and drive traffic to your booth. Contact Danny to discuss your tradeshow exhibit.